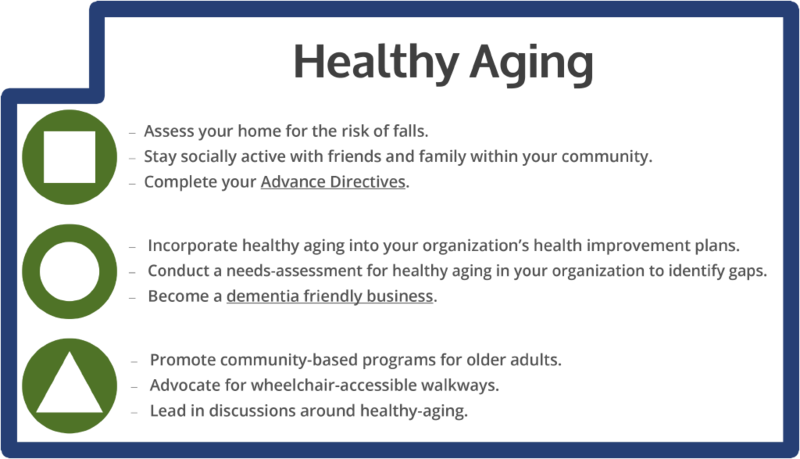 Developing and maintaining optimal mental, social, and physical well-being and function in older adulthood. This includes addressing basic needs, optimizing health and well-being, promoting social/civic engagement, and supporting independence. View the overview for this priority area on the Marathon County Health Improvement Site.